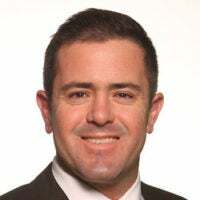 Travis Weber is the vice president of policy at the Family Research Council. President Donald Trump’s Supreme Court nominee Judge Neil Gorsuch is a solid originalist and textualist when it comes to interpreting the Constitution and statutory authority. This alone is reason to believe he will be a good Supreme Court justice, but his strong rulings on religious liberty only bolster his qualifications. On this issue, he has a strong judicial track record both in his votes and written opinions. The record clearly shows that Gorsuch understands and has properly applied the Religious Freedom Restoration Act, most prominently in the context of the Department of Health and Human Services mandate cases. Gorsuch voted with the U.S. Court of Appeals for the 10th Circuit in its en banc decision in Hobby Lobby v. Sebelius, which sided with the religious challengers and articulated a strong view of the Religious Freedom Restoration Act. In that same case, he wrote a concurring opinion explaining how the Green family (owners of Hobby Lobby) themselves are also entitled to protection under the same statute. In addition, when the en banc 10th Circuit rejected the Little Sisters’ claims in Little Sisters v. Burwell, Gorsuch joined the dissent, clearly stating that their religious beliefs had been substantially burdened under the Religious Freedom Restoration Act. Yet he won’t allow the religious liberty law to be used as an excuse for all behavior. In United States v. Quaintance, he rejected drug smugglers’ claims that their marijuana distribution was motivated by religious belief as insincere and thus not protected by the statute. In these rulings, Gorsuch closely adhered to the textual requirements of the Religious Freedom Restoration Act, which bar courts from being able to second-guess religious claims once the claimant has shown a sincere religious belief that has been substantially burdened. Judges shouldn’t dismiss claims under this statute just because the religious belief seems odd, or they personally don’t understand how it has been substantially burdened. If religious claimants make the above showing, their religious exercise can only be burdened if the government shows a compelling interest that is accomplished through the least restrictive means. Gorsuch has closely followed these requirements, and clearly has a good grasp of how the Religious Freedom Restoration Act operates and how it should be applied. Similarly, he has shown careful attention to prisoner religious freedom claims, granting those that meet the statutorily-prescribed standard under the Religious Land Use and Institutionalized Persons Act—such as in Yellowbear v. Lampert, where he wrote the opinion, and Abdulhaseeb v. Calbone, where he voted with the court in granting relief and wrote his own concurring opinion explaining the importance of the land use law in protecting claimants against conscience violations. At the same time, he has rejected claims that do not meet the statutory standard, as in Ali v. Wingert, where he wrote an opinion upholding the dismissal of a claim on appeal pertaining to the Religious Land Use and Institutionalized Persons Act. His rulings show a judge who is careful to follow the text of the law, whether he personally agrees with the claim or not. Gorsuch also exhibits a neutrality and evenhandedness in his rulings, as opposed to unduly deferring to government authorities. In Establishment Clause cases, Gorsuch has shown he will not go along with activists who want to use that First Amendment protection to scrub the public square of all religious references. In three different cases—Green v. Haskell County Board of Commissioners (Ten Commandments display on courthouse lawn), American Atheists v. Duncan (public memorial cross on side of highway), and Summum v. Pleasant Grove City (Ten Commandments monument on public property)—he authored and/or joined dissents from denial of en banc review after the 10th Circuit ruled against the relevant public religious display. 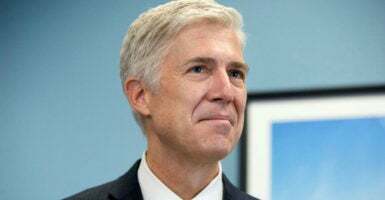 Notably, in its subsequent ruling in Summum, the Supreme Court agreed with and relied on the dissent joined by Gorsuch. In his rulings touching upon religious freedom issues, Gorsuch has shown an acute desire to closely follow the relevant statutes and constitutional provisions, without regard to preference for either party. This is what is needed in the face of the anti-religious freedom fervor stirring in America today, and what is fitting in a Supreme Court nominee who will take the late Justice Antonin Scalia’s seat.